Masculine, chizzled jaw lines, well groomed & German. A prerequisite for the techno DJ. 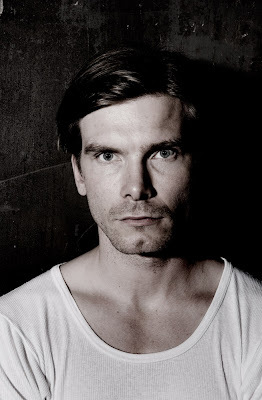 According to Fact Magazine, Berghains Marcel Dettmann, know for his ability to unite katabatic coldness with stonefaced 4x4s (Something fellow German STL also does well) is on the verge of releasing his debut album. The 12 track LP incorporates track titles such as 'Irritant' 'Captivate' and 'Silex" sure to leave listeners painting imaginary definitions of the words inside their heads. Comparison to Ben Klock's 'One' abum are sure to follow with close friend and Berghain cohort releasing his first full length in 2009. The two forged 'Blank Scenario' together in 2007, a great showcase of todays techno juggernauts. The album will be made availabe on both CD and vinyl formats with Dettman Remixed to follow featuring remixes of ‘Shift’ and ‘Vertigo’ by Norman Nodge and Wincent Kunth.